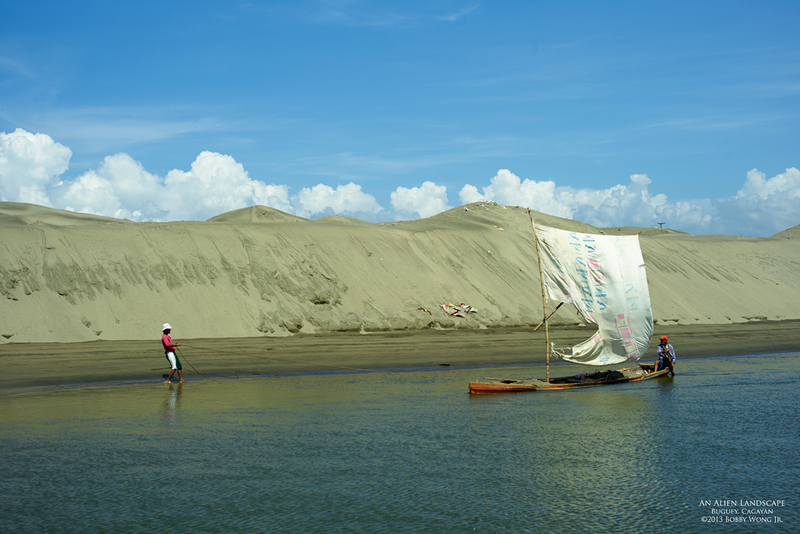 In Minanga Este in Cagayan, what used to be the mouth of a small bay is now... a ginormous sand dune. We found these two chaps transporting a boatload of sand, carved from the dune formed by miners quarrying the shallows for magnetite. Extracting natural resources while reclaiming valuable seaside real estate sounds too good to be true, until you realize they had to wreck a habitat to do it. Sigh.